Accware are ICAEW Chartered Accountants in Bolton specialising in high quality and friendly professional services to small, medium and established businesses throughout Greater Manchester. We are passionate about helping our clients improve financial control and profitability and achieve this through regular contact and using some of the best business software currently available. Using the latest Cloud solutions, we are able to offer flexible services at competitive prices, paid for on a monthly basis. We are also members of the ICAEW’s Business Advice Service and are happy to offer a free advice session to small business owners looking to overcome a range of business and accounting related challenges. You can find useful business guides covering a range of relevant subjects, written by the ICAEW, that you can download here. Accounting, Taxation, Payroll, Compliance, Advice, Training and Support. We work with small and growing businesses, advising, supporting, training and sometimes chasing to make sure your business affairs are kept up-to-date. We have many years’ experience of working with small and growing businesses at a senior level. We make it our mission to help you improve the way you run your business by streamlining business processes and improving cost control. We understand the figures and provide advice based on the production of regular and accurate Management Information that also fulfils your legal and compliance obligations with HMRC and Companies House. The video gives a quick insight into the services we offer and how we work with you. We decided to focus on Cloud solutions as a way to deliver our services back in 2008. After looking at a number of products, we chose Xero as our preferred solution and became partners in 2009. Xero, along with other Cloud solutions are the foundation of the services we provide, which, we believe, helps us to deliver outstanding service levels to our clients. We are passionate about how we can help and support our clients run their business using Cloud solutions and how we can help them realise the benefits these products can bring to processes, working practices, profitability and support. We work with Cloud solutions for Accounting, Workflow, Point of Sale and eCommerce. We also have extensive experience of working with Sage 50 and Sage Forecasting. As Xero Certified Partners we recommend Xero to our clients. It’s all online, so you can work wherever you want as long as you have access to the Internet. Just login with your PC, Mac or mobile and away you go. Your bank statements are automatically imported and categorised, letting you see your cash flow in real time. Invite your team and work together on financials. You can collaborate with us over your up-to-date information. Xero has all you need to run your business – including invoicing, paying invoices & expenses, VAT returns, reporting and much more. WorkflowMax is a Job Management solution for Professional Services Companies. WorkflowMax gives you a fully integrated Job Management solution from Lead to Final invoice so you can dispense with Word documents and Excel spreadsheets for producing quotes and logging costs. 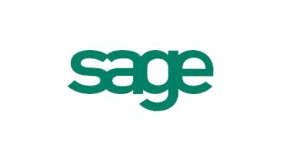 Sage has been around for many years and is used successfully by thousands of businesses across the UK. We work with Sage One, Sage 50 Accounts Professional and Sage 50 Forecasting for comprehensive profit and cash flow forecasting. Receipt Bank is a service that processes invoices & receipts, using OCR to extract data so it can be loaded into your accounting solution. The service helps reduce the manual effort associated with entering invoices and receipts into your accounting system and can potentially save hours of effort each month. Furthermore, a digital copy of your invoice/receipt is loaded into your accounting software, so you no longer need to keep paper copies. Our clients are small, growing and established businesses who value the range of Accounting, Taxation and Advisory services we provide. We work with Professional Service Companies, Creative businesses, Medical & Business Consultants, Facilities Management, Light Manufacturing & Childcare, to name but a few. The video explains the size and type of businesses we work with and the services we deliver to help you run an efficient and profitable operation. Regular and accurate management information helps you see how your business is performing, so you can make key decisions with confidence to ensure there are no surprises at the Year End. Controlling the cash is a priority in any business; a profitable operation does not necessarily mean a strong cash flow. Profit & Cash Flow Forecasting sets the boundaries within which the business must operate and helps you identify periods when cash may be tight. We work with you to help minimise business and personal tax liabilities and ensure tax returns are submitted to HMRC on-time and that you pay the correct amount of tax by the due dates. Our Payroll Bureau can process your wages data, handle Workplace Pensions & auto-enrolment, generate payslips, P60’s and P45’s for your employees and submit the completed data to HMRC in compliance with RTI each month. We prepare Year End accounts for Limited Companies using the latest Financial Reporting Standards and file them Online with HMRC & Companies House, so you comply with current legislation. You can request more intensive levels of support or training to help you or your staff with any of the products we support. This could be through our “Part-time FD” service, mentoring or simply on an ad-hoc basis, to help with a range of finance related issues as your business grows. "Berwyn, through his professional expertise managed to sort my financial affairs to good order, the Xero system was clearly an added bonus to the professional services I have enjoyed to date. Berwyn and his team take care of all aspects of my accounting matters. What a terrific relief!!!!!"